The following are just a handful of good places in Central England in which to look for orchids - there are myriad other locations to explore, and orchids often crop up where you least expect them. For more suggestions, take a moment to visit the Wildlife Trusts' website (see Useful Links) and use their interactive map to explore their reserves near to you. A lovely mosaic of woodland and meadow habitats that boasts gems such as Common Spotted, Early Purple, Green-winged and Greater Butterfly Orchids. 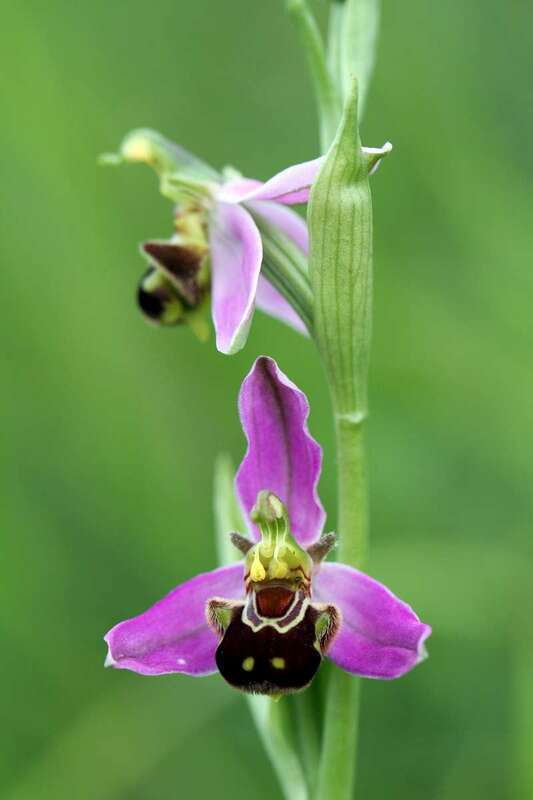 An extensive pair of National Nature Reserves particularly notable for their dune slacks, in which one can find Early and Southern Marsh, Bee and Pyramidal Orchids, and Marsh Helleborines. A reserve particularly notable for its abundance of Green-winged Orchids. Another fine site at which to see Green-winged Orchids - Muston hosts a colony of some 10,000 plants. Considered one of Britain's finest limestone grassland sites, a variety of orchids including Bee, Chalk Fragrant, Man and Pyramidal Orchids may be found here.